A more supportive and collaborative approach to short inspections of good schools was announced by Ofsted today. The new arrangements are set out in Ofsted’s response to September’s consultation on changes to short inspections. Overall, the majority of respondents supported each of the consultation’s 3 proposals. • when there are no significant issues with safeguarding or behaviour, but inspectors identify potential concerns about either the quality of education or leadership and management, the inspection will not convert. Instead, Ofsted will publish a letter setting out the school’s strengths and areas for improvement. A section 5 inspection will then take place later, typically within 1 to 2 years. This will give the school time to address any weaknesses and seek support from appropriate bodies. In the meantime, the letter will be clear that the school’s current overall effectiveness judgement has not changed. 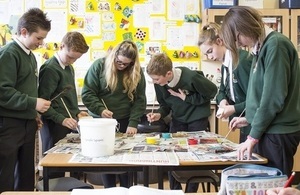 • when inspectors have reason to believe that a school may be improving towards an outstanding judgement, Ofsted will publish a letter confirming that the school is still good and setting out its strengths and priorities for further improvement. A section 5 inspection will then take place within 1 to 2 years, giving the school time to consolidate its strong practice. However, requests from schools for early inspections will be considered. The majority of short inspections will confirm that the school remains good and, as now, Ofsted will return to carry out another short inspection after approximately 3 years. "The process for converting short inspections to full section 5 inspections has proven challenging for both schools and inspectors. We have been consulting with the sector on ways to address these challenges and I’m delighted that the majority of respondents supported our latest proposals. I’m very grateful to everyone who took the time to engage with us. "These new arrangements reflect our overall aim to act as a force for improvement through inspection, and to catch schools before they fall. We’re confident they will ensure short inspections are responsible interventions that minimise the burden on schools, while at the same time providing constructive support and more time to improve." The consultation ran from 21 September to 8 November 2017 and was open to the general public. In total, more than 1,500 responses to the online questionnaire were submitted. Ofsted also gathered responses from direct engagement with parents, headteachers, teaching unions and professional associations.